Early in the 60’s Roland Darmanin Kissaun recognised the opportunity to build an industry when a few yachts started to visit Malta and base themselves here. 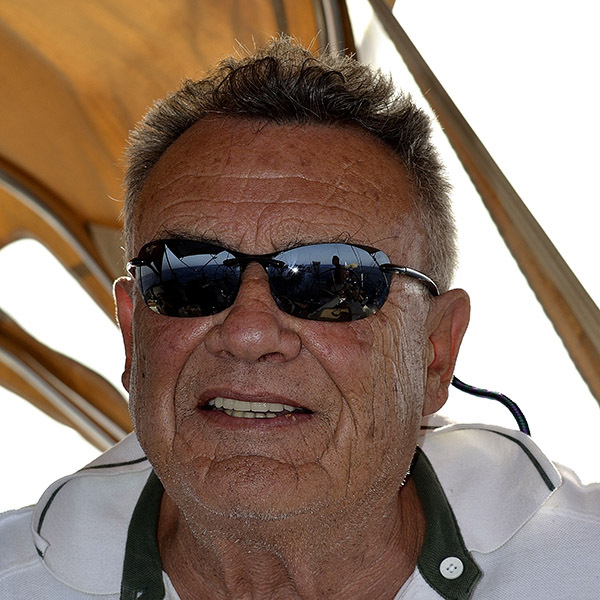 It is safe to say that Roland was one of the very first Maltese to get involved in the local Yachting industry and over the years, either through his personal efforts or through his leadership of the Yacht Traders Association, Roland worked hard in the interest of the industry to see Malta become one of the most successful Yachting hubs in the Mediterranean as we know it today. In 1989, together with other local Yacht Agents, he lobbied with the Maltese Government and the London International Boat-Show Organisers and successfully secured the main sponsorship of the London International Boat Show, where the centre feature was Malta. At the same time he successfully organised three successive local, internationally recognized Boat-Shows in Vittoriosa. Roland was also a mainstay behind the organisation of notorious sailing events like the Malta-Pozzallo Windsurf Race (1983-1994) and the Malta-Tunisia Yacht Race held in the 90’s. He was always ready to support and assist any sailing oriented activity organised by any individual or group. Roland was the pioneer promoter of Malta Flag Registration for yachts and together with Ing Paul Cardona contributed towards the development of Commercial Yacht Registration. Roland was also a main promoter of Yacht Corporate services including the pre accession VAT treatment, onward supply relief procedures and the current yacht leasing structure where he was also involved in their development. The Yachting Malta Awards are being supported by Mercedes-Benz, Simon Estates, Charles Grech and Transport Malta. Yes Roland is a worthy nominee. Yes he was a pioneer in putting Malta on the yachting world as a destination for yachts of any size. He was also instrumental in promoting the Malta Maritime Flag through the Registration Programe for Super Yachts. I fully agree with Anthony Demajo’s recommendation. I wish to add that Roland was always helpfull to yachtsmen requesting any yachting advice. He also made many a lecture about sailing and navigation at the Royal Malta Yacht club. He deserves to be nominated. Without him there would not be any nominee to recommend. My nominee any time. What a wonderful, energetic, considerate person who loved his country and always wanted the very best for Malta.